« 19 facts about the beds. Tomba Caruso – the standard of modern technological furniture. The variety of modern furniture is so wide that even the most sophisticated esthete will be at a loss and admiration for what unusual and non-standard furniture elements modern representatives of the furniture design workshop can come up with. The world has already seen “smart tables”, which were controlled using a smartphone application, and which were able to intelligently adjust to a person. Surely heard about the desktops, which “take care” of the cheerful mood of your pet. But the furniture that will be considered in this article is truly an innovation in both technological developments and furniture design. It is striking in its singularity, and at the same time, visual simplicity. We are talking about a cabinet, which is equipped with a built-in Hi-Fi-system, the most modern model. In a word, such a furniture element will be to the liking of all those who wish to get a stylish and unusual element of furniture in their interior, and also love to listen to music and appreciate high-quality sound. Musical Cabinet by Paolo Capello. 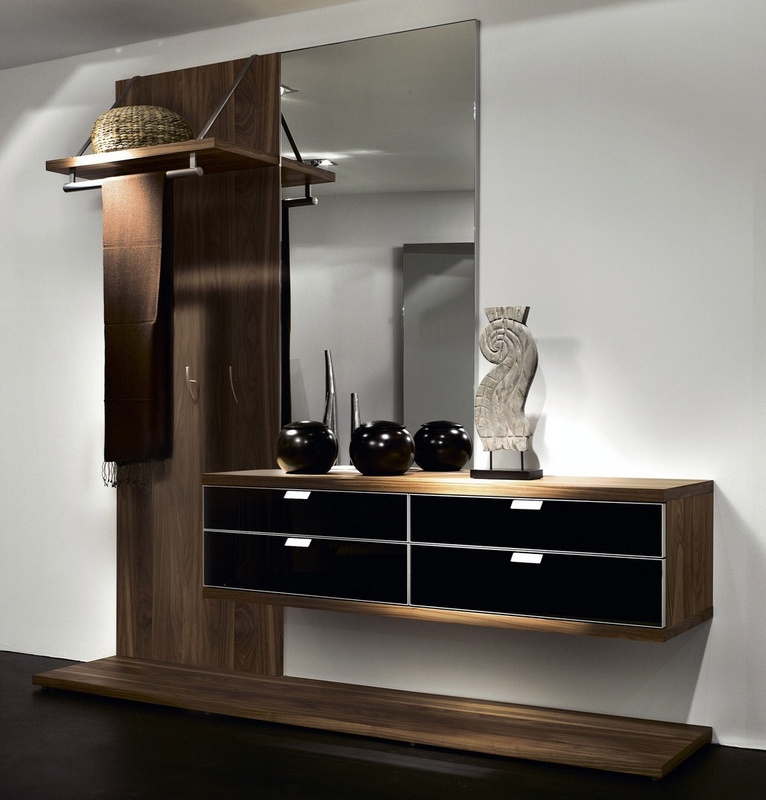 dresserItalian designer Paolo Capello always wanted to create furniture that would have a significant, distinctive feature that would be a real highlight. And gradually he created his “masterpiece”, which he gave the name Caruso, which was produced by the Venetian factory Miniforms. 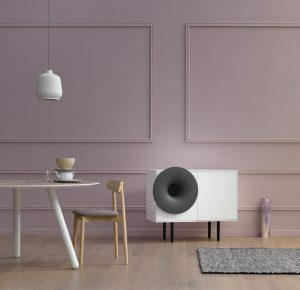 The basis of the curbstone concept was a speaker, externally resembling a horn, which was used to equip gramophone in the old days – a kind of “antique” detail in modern furniture. The gramophone has become the only detail appealing to antiquity, otherwise this furniture is an example of modernity. The cabinet is equipped with the most modern Hi-Fi system, which is controlled via Bluetooth using a smartphone or tablet computer. The system produces high-quality sound, even at maximum volume there is no noise or excessive vibration. This item is a great example of ergonomics, in which both the furniture and the audio system are connected. A lot of people dream of this kind of interior. 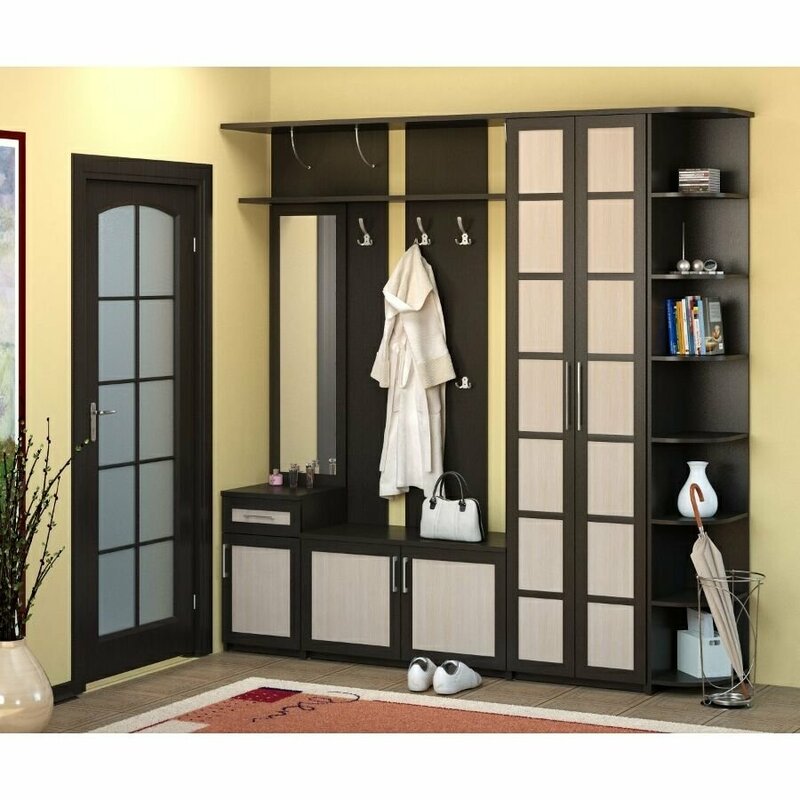 Curbstone Caruso is a full-fledged piece of furniture that can be used for its intended purpose – for storage, it is very spacious. The speaker itself has a very compact size and does not affect the capacity of the cabinet. And also in the variations of design for wood: oak or walnut. The speaker is ceramic and can be made in the following colors: red, yellow, pink, green, white or anthracite. There is also a so-called limited edition – a horn, which is covered with a gold coating of 24 carats. This is the masterpiece presented to the world by the Italian designer Paolo Capello. Such furniture quickly gained admirers around the world and became an example to follow. Many factories producing furniture now equip it with modern Hi-Fi-systems that allow you to play music from a smartphone or tablet. Probably no one would be surprised when in a few years almost all the furniture elements will be equipped with modern digital technologies, and why not, because it is practical and convenient, as well as the ability to save space, since you don’t need to look for where to install the speaker system, it’s already will be embedded. Posted in Alas, bottom of the well”., But the furniture that, but this is only the first impression, but you can find some common ones., detail in modern furniture., f the water is inside the stove, facts about this furniture., First of all, for bags and backpacks, From heavy, furniture secondhand”.